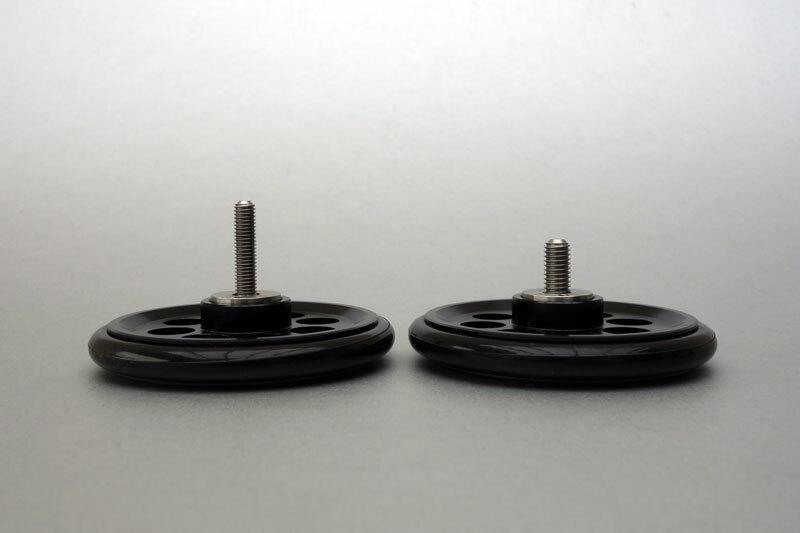 Our previous version of the EZY wheels were made to use on the frame only. 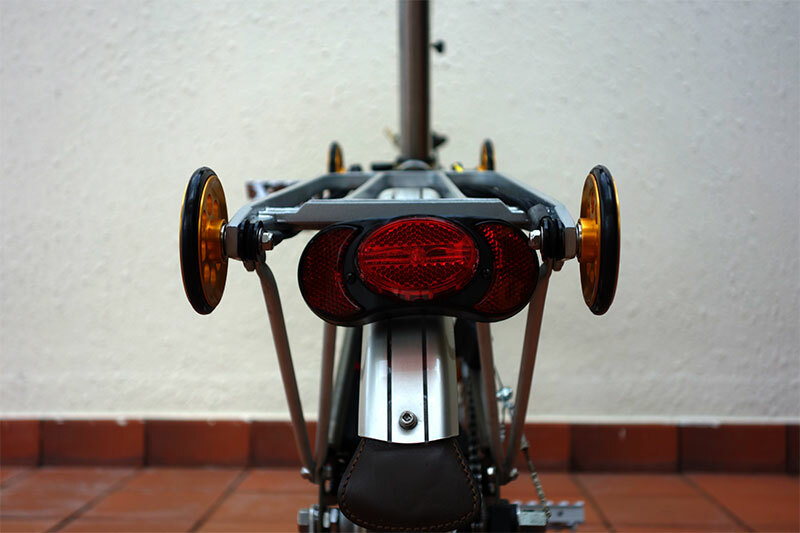 We had recently update the product line so they now can be fitted onto the rear rack as well. note how the new gold-ish color is comparing to the previous version. 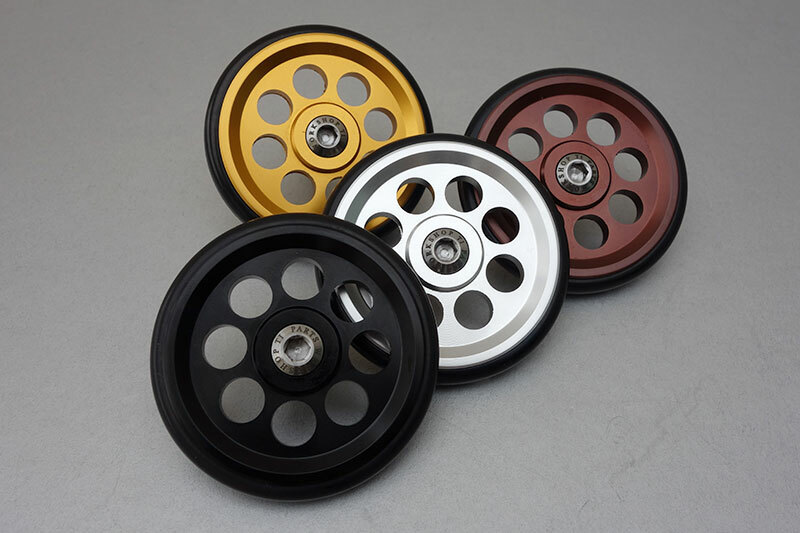 The new colours and sizes of installations bolts are now in both 66mm and larger 88mm versions of the EZY Wheels. Longer and shorter bolts are to be used on the rear rack and frame respectively. The rear rack wheels are now both installed on the outboard of the rack. 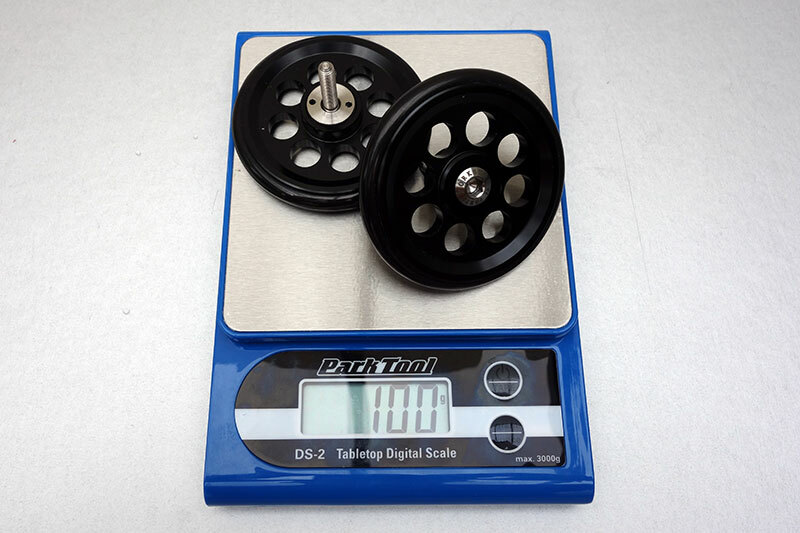 Each pair of wheels weight about 100 grams. 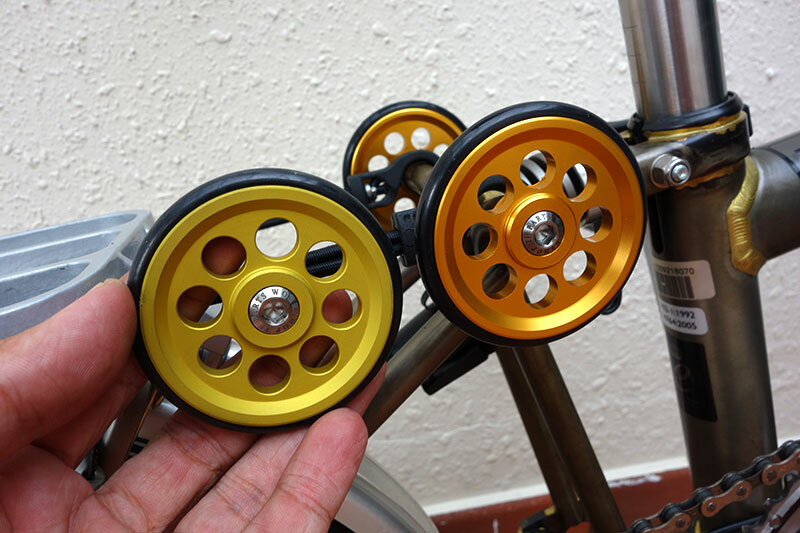 This entry was posted in Brompton, EZY Wheels, Product. Bookmark the permalink.